When the 96’ Summer Olympics took place in Atlanta, I was fortunate enough to have experienced many of the sporting events, traditions and cultures. It was then that my love for the Olympic Games emerged. Without a doubt, my favorite memory from my childhood was soaking up the splendor of the games. The presence of Coca-Cola during the Olympics has always stuck with me. Fast forward to present day, all eyes are on the Olympic athletes in PyeongChang during the 2018 Winter Games and I am parked in front of my television with a Diet Coke in hand. But not just any Diet Coke.. 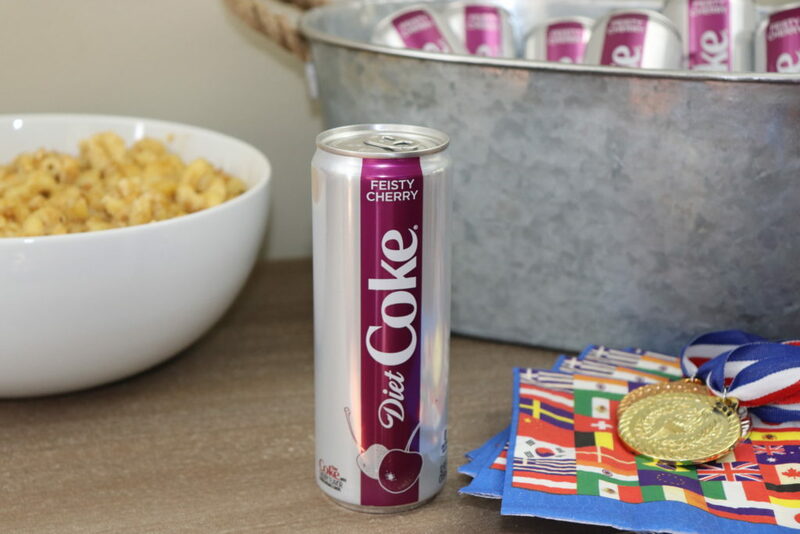 While the athletes are making bold moves on the ice and the slopes, Diet Coke is making bold moves with their new added flavors like this Diet Coke® Feisty Cherry flavor! 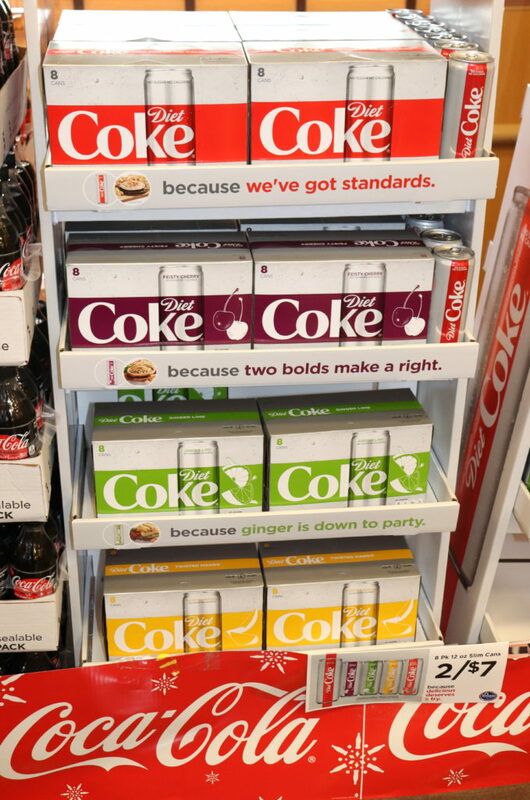 Plus you can enjoy the Classic Diet Coke with its same great taste in these new sleek cans! Head to your local Kroger and get your favorite flavor in an 8-pack or try all of the flavors by purchasing each of them in single 12 oz. cans at an affordable price. 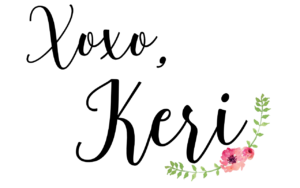 Take this short quiz to find your flavor match. Some Kroger stores have them on display in the front of the store. They can also be found in the soft drinks aisle of your Kroger store. 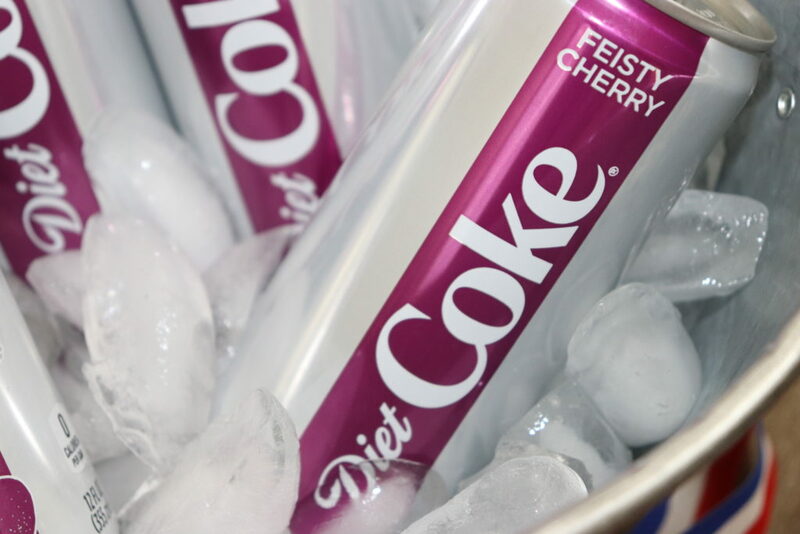 In our house, we are crazy over the Diet Coke Feisty Cherry. It’s bold and refreshing flavor helps us take a break from the ordinary in our everyday routine while we cheer on our favorite Olympic athletes. 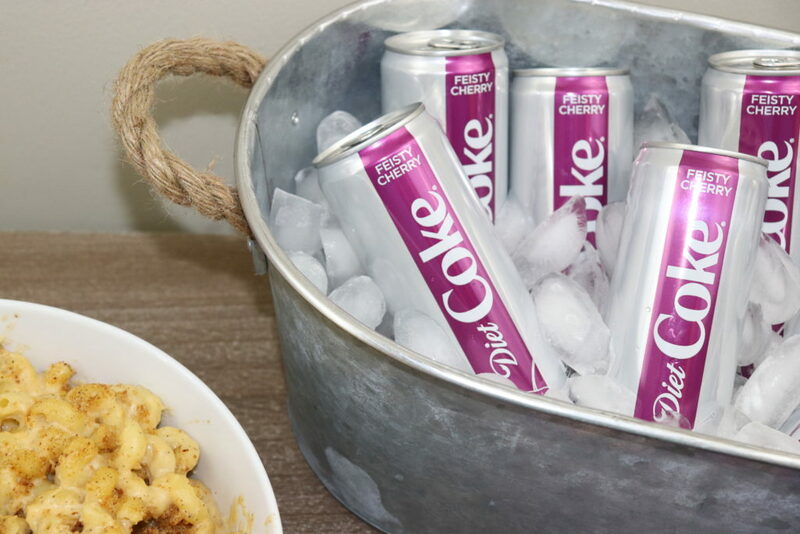 Not to mention, the trendy, sleek cans make them more enjoyable than ever! 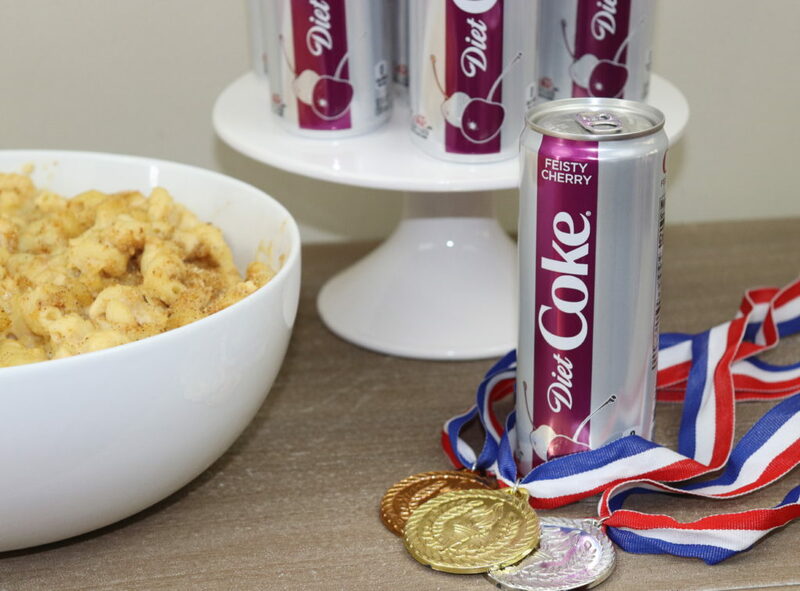 Since we like to go all out for the Olympics, we hosted an Olympic viewing party for some of our friends where we treated them to one of our favorite recipes – Gouda Black Pepper Mac & Cheese which pairs so well with Diet Coke Feisty Cherry. Feisty Cherry + Black Pepper = AMAZING. Our guests loved the duo of bold flavors! 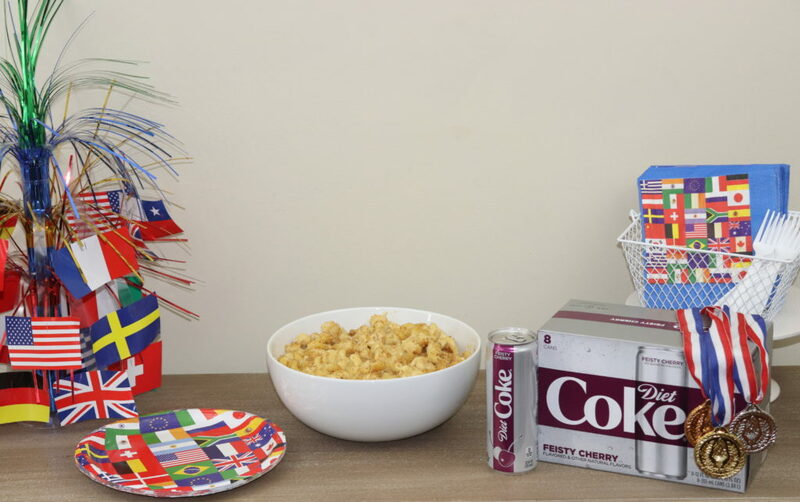 Check out all of the bold flavors of Diet Coke to add to your routine. 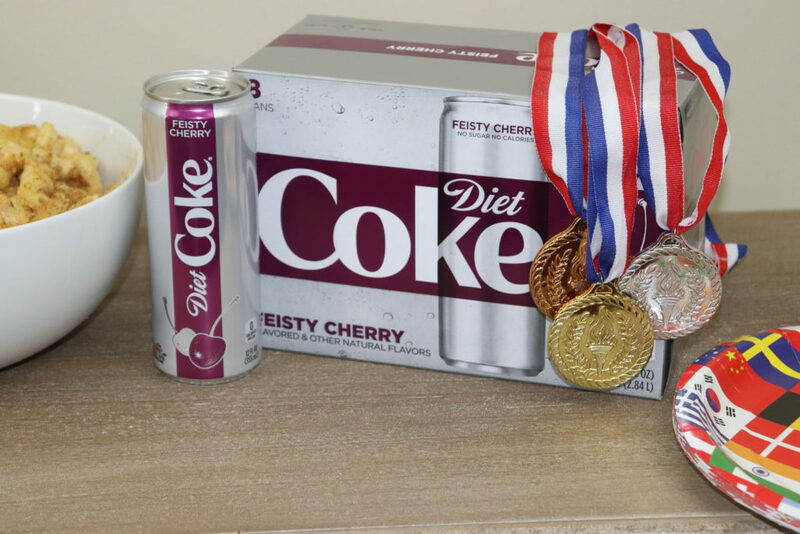 Before you kick back and tune into your favorite Olympic event, throw this tasty recipe into the oven and enjoy it while you spectate with a can of Diet Coke Feisty Cherry. 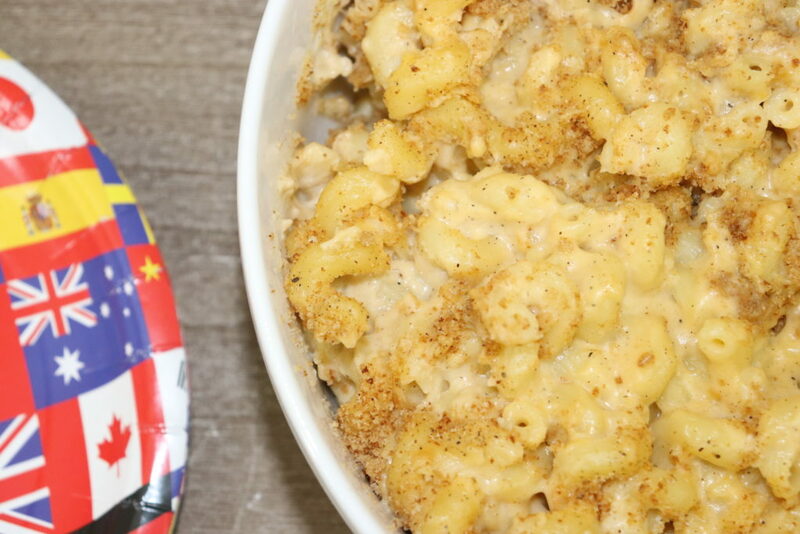 So while you are out picking up your Diet Coke Feisty Cherry, pick up these ingredients for our flavor pairing Gouda Black Pepper Mac & Cheese. After all.. two bolds make a right! Melt butter in a large saucepan over medium heat. 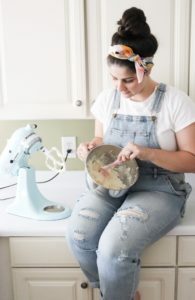 Sprinkle in flour and whisk for 2–3 minutes. Add salt and pepper (to taste) and slowly whisk in the milk. Heat to a low boil until thick and remove from heat. 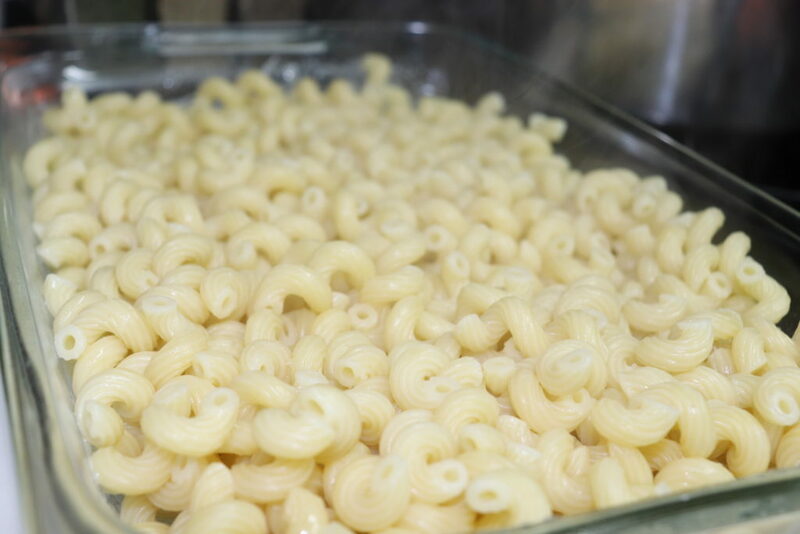 Grease a 9×13 baking pan and add drained pasta. Sprinkle shredded cheese on the top and cover with cream sauce. Stir together. 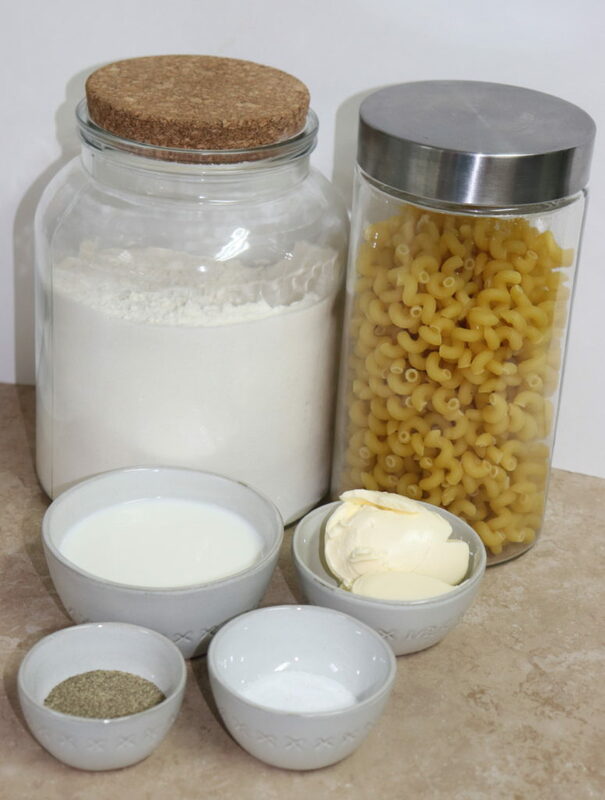 Melt the 2 tablespoons of topping butter over medium heat and add crumbs, stirring constantly for 3–5 minutes until golden brown. Melt butter in a large saucepan over medium heat. 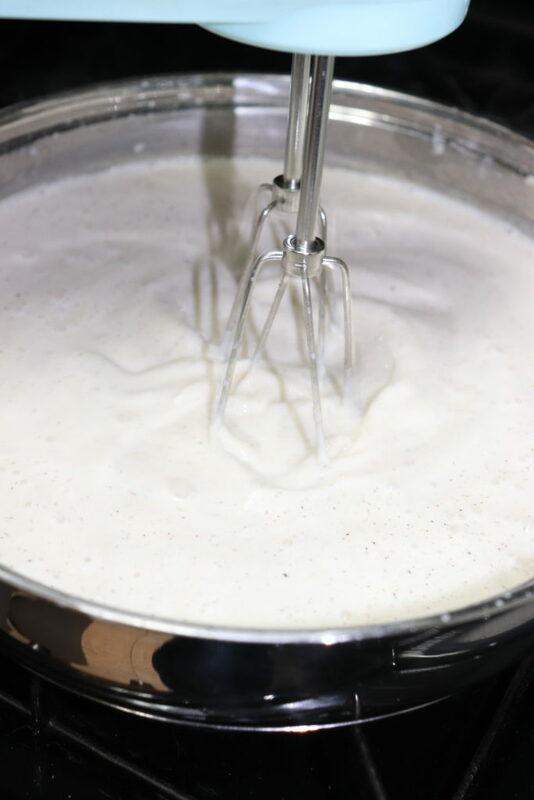 Sprinkle in flour and whisk for 2–3 minutes. Then add salt and pepper (to taste) and slowly whisk in the milk. Heat to a low boil until thick and remove from heat. 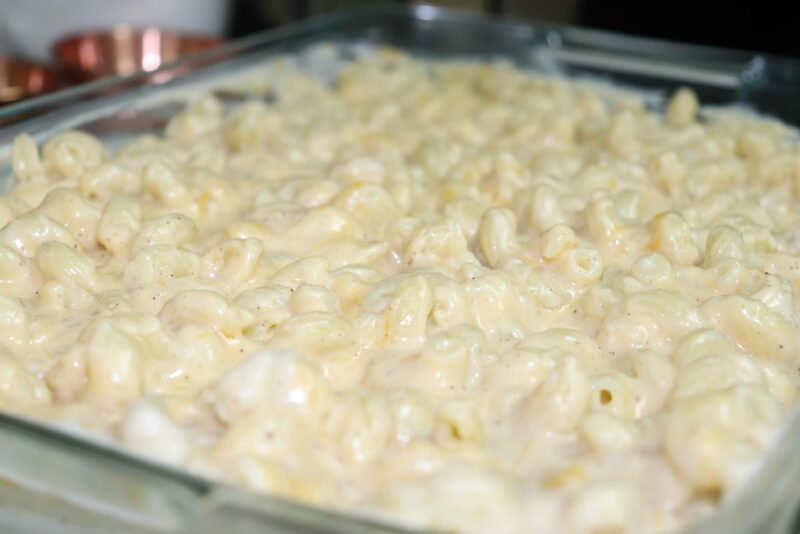 Sprinkle shredded cheese on the top and cover with cream sauce. Stir together. 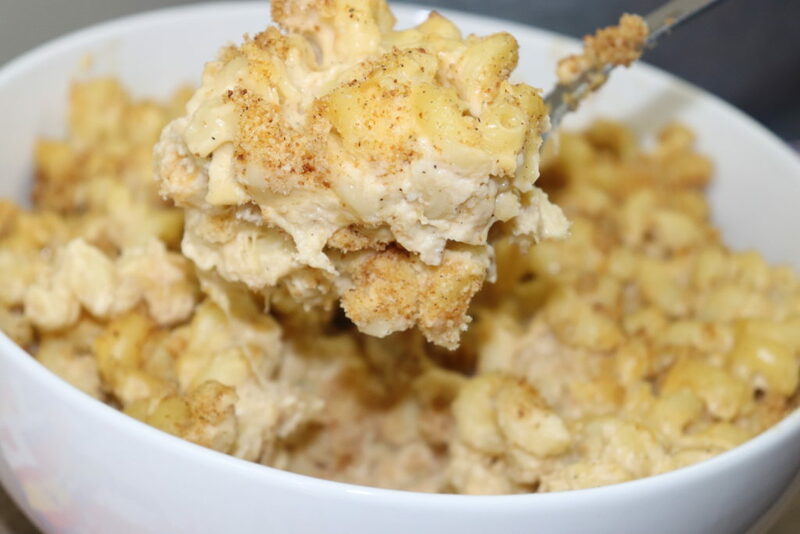 Melt the 2 tablespoons of topping butter over medium heat and add crumbs, stirring constantly for 3–5 minutes until golden brown. What new flavor are you looking forward to trying the most?